In his blog last week, Jim Mahar expressed his incomprehension of the prohibition of interest. He said that Christianity eventually reached the conclusion that it is usury that was forbidden and not interest. Of course, the term usury itself was used differently at the time Luther and Calvin struggled with this distinction, since many had used the two terms interchangably, "Ocker" being the name they gave for the Hebrew ribbis or Arabic riba. Jim wonders if Islam will ever reach the same conclusion. Of course, as I had indicated in previous postings, there have been somme jurists who tried to address the issue, in effect leading an Islamic reformation early in the Twentieth Century. 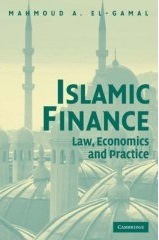 It is difficult to tell from where we stand today whether that effort failed because it failed to capture the essence of Islamic and Biblical law (which is more than just avoidance of excessive indebtedness), or because it failed to justify an independent "Islamic finance" (which seems to have become an end in itself). I have argued elsewhere that the issue -- following the analysis of ibn Rushd (see my previous postings) -- may be more about fairness in exchange, regardless of the value of the interest rate. In other words, interest below the proper value is just as bad as interest above, and interest above the proper value is unfair even if it falls below the benchmark for predatory lending or usury. In my paper on riba, I have argued that the issue may be one of marking the time value embedded in any particular contract to market, to ensure equity/fairness in exchange. The axiom:"In my paper on riba, I have argued that the issue may be one of marking the time value embedded in any particular contract to market, to ensure equity/fairness in exchange." I was just wondering how one would apply this same principle to credit card debt? Usury / interest / riba is something very different than trade. The concept of riba has been contrasted with the concept of charity and trade. If we are able to define trade as well as charity then it is easy to separate riba from legitimate profit. So, what is trade? And, what is charity?